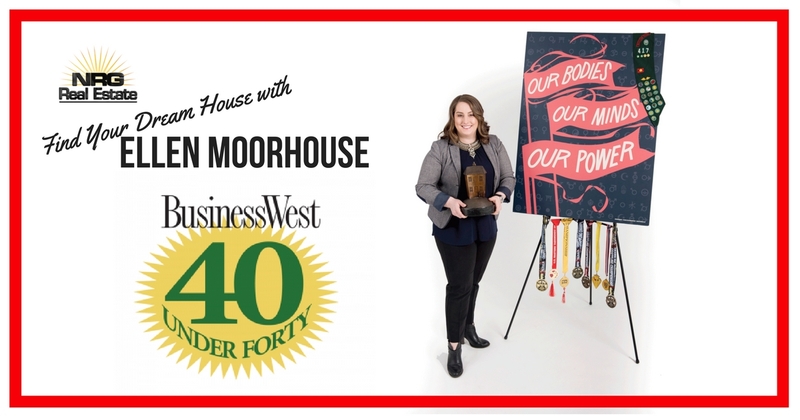 Congratulations Ellen Moorhouse 2018 BusinessWest 40 under 40 Recipient | NRG Real Estate Services, Inc.
What a great honor it is for us to have our own Ellen Moorhouse selected as one of this years BusinessWest 40 under 40 Recipients. This award has been in existence for 12 years and recognizes young professionals in Western Massachusetts that exceed in both carrier achievement and community involvement. If you are a young professional in Springfield, MA you probably ran across Ellen and she probably talked to you. Her natural energy and genuine desire to do good in our community are contagious. She is like a whirlwind in just about any area fundraiser, political event and always happy to lend a helping hand. Her passion to make a difference transcends through both of her career focuses. Whether you connect with her in the non-profit sector or as a real estate agent, her dedication to help achieve the end result is evident. As a third generation real estate professional providing outstanding service in real estate comes naturally to her. This is just the beginning or Ellen. We can’t wait to see what the future will bring. From all of us at NRG, Congratulations! If you are looking for an exceptional agent to help you buy or sell your home reach out to Ellen Moorhouse!